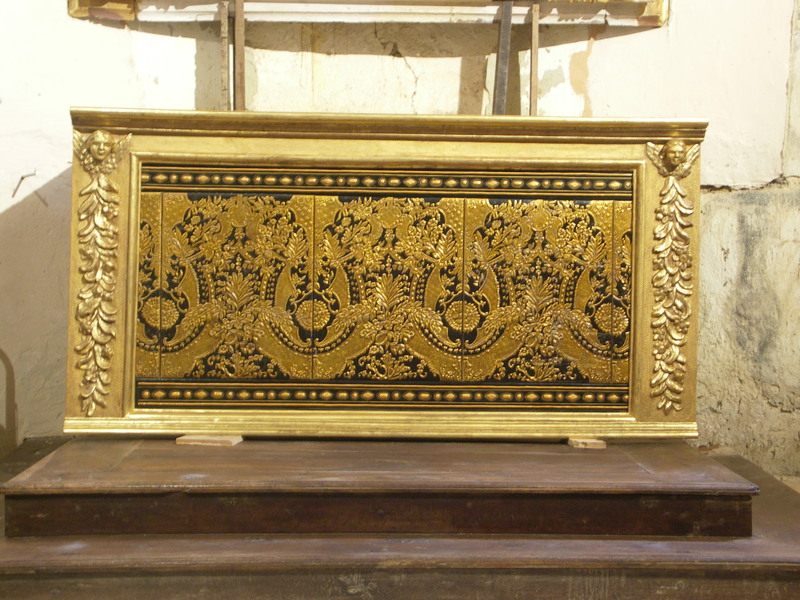 Regularly we are asked to supply Gilt leather for alter pieces (Antependium). 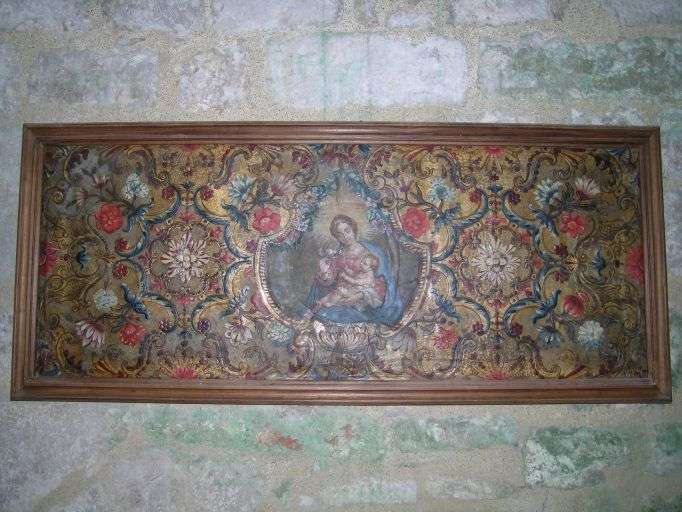 As here in the St Peter church of Vic Fezensac. The four sides of the alter are covered with leather. The sides are covered with our Lauderdale. This is a small alter which allows easy picking-up and re-positioning. In the tranquility of a humble chapel or in the greatest cathedrals where one is overwhelmed by the proportions and majesty of the architecture. Where one feels elevated by the dazeling light of the century old stained glass windows, once mass starts, all are focused to what is happening arround the Altar. 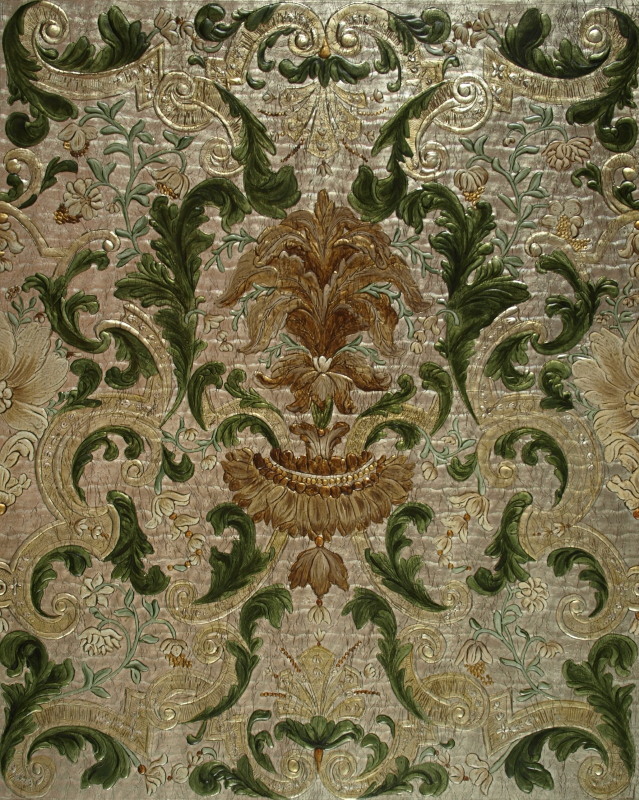 Since the 17th century alterpieces of giltleather were quite frequent certainly in the southern part of Europe . 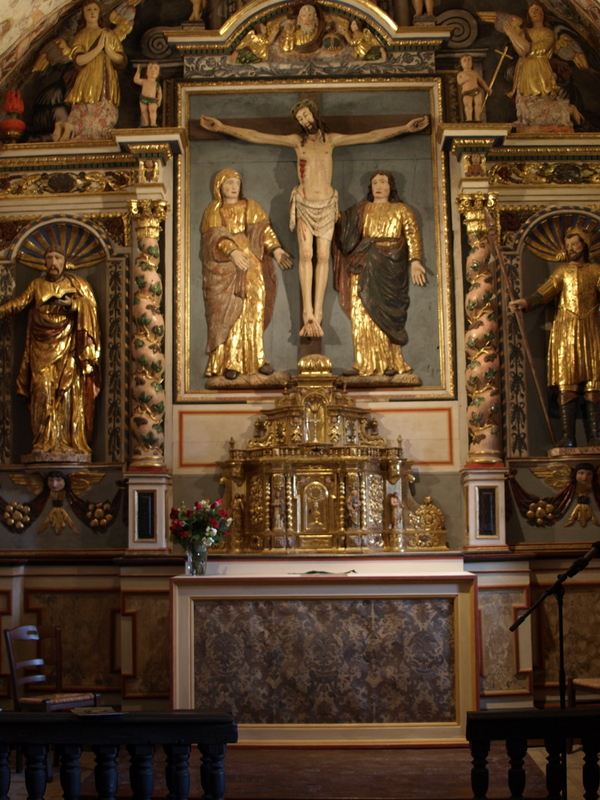 1) a frontal helps to make the altar stand out from its surroundings. 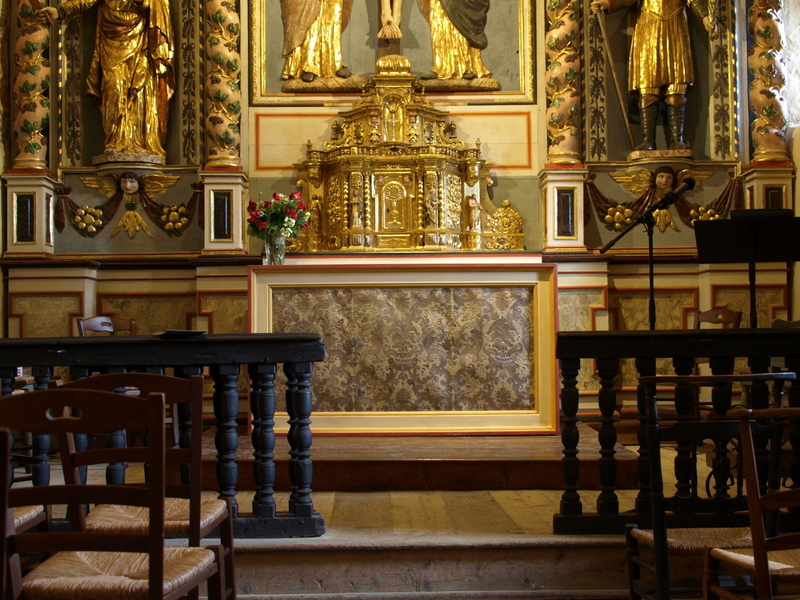 It has always been the mind of the Church that, in a mystical sense, the altar is Christ, and that, like the priest who celebrates Mass, it should be clothed in precious vestments on account of its dignity… the frontal is one of the most ancient of all the furniture of the altar. 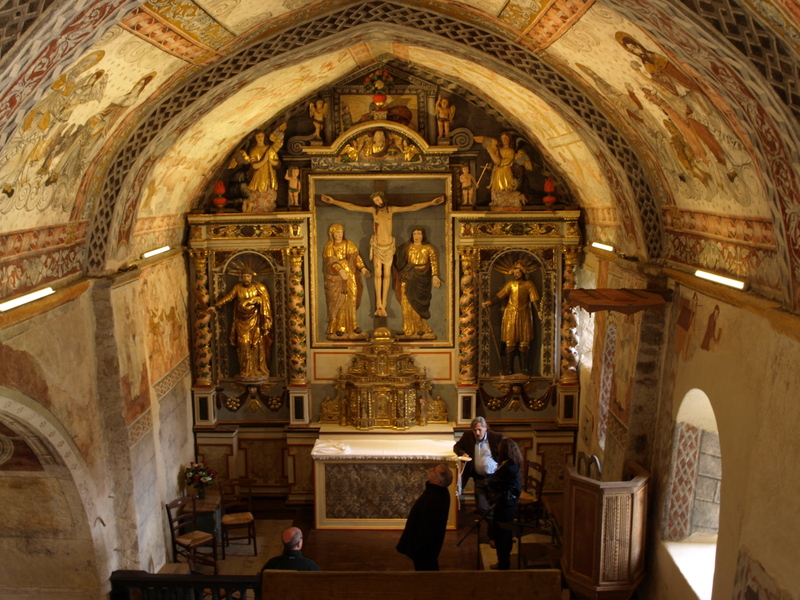 The frontal — the altar’s clothing — has a deep, symbolical value. 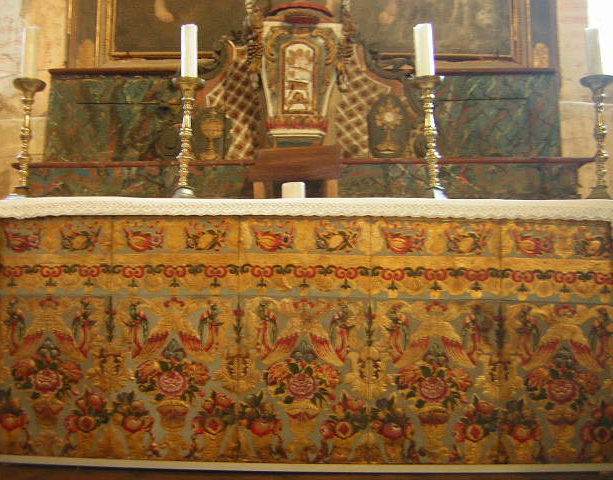 As the early linen clothing of the altar recalled our Lord’s burial shroud, so the precious coloured fabric of the later frontal is to recall his royalty. At the ordination of a subdeacon, the bishop in his charge to the candidate says “the cloths and corporals of the altar [which represents Christ] are the members of Christ, Gods faithful people, with whom, as with costly garments, the Lord is clad, according to the Psalmist: ‘The Lord reigns as king, robed in majesty’.” The clothed altar with its beauty and changing colours is a symbol of the Mystical Body — the whole Christ, Christ united with all his saints — it translates this doctrine into the language of colour and form. 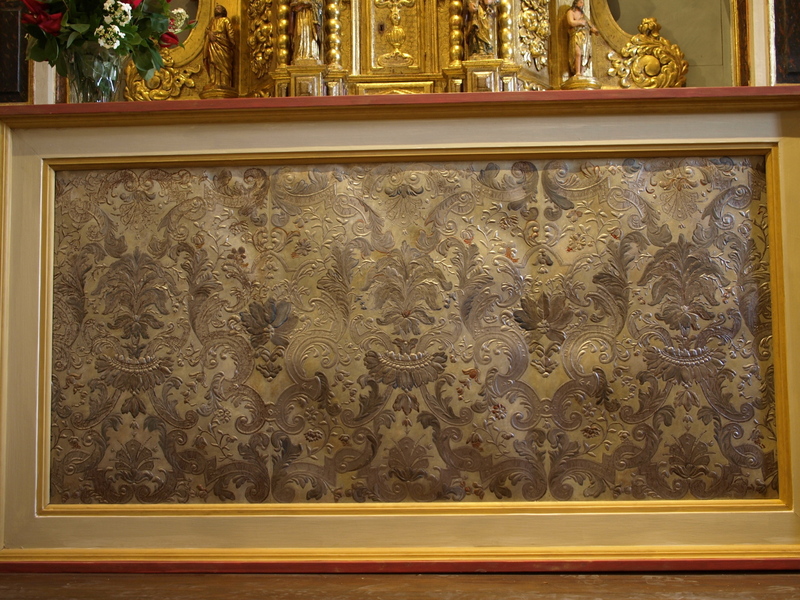 In addition to its symbolical value, the frontal — with its sequence of colours and its changing form and decoration — lends variety and new beauty to the altar, and helps to mark the degrees of festivity in the Church’s liturgy. 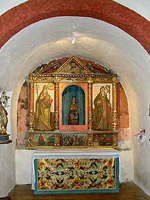 …a frontal helps to make the altar stand out from its surroundings. 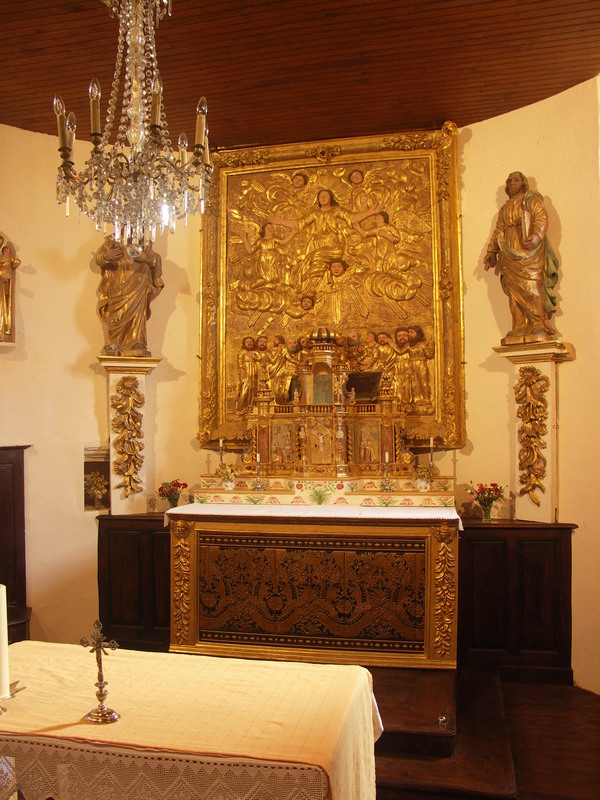 It has always been the mind of the Church that, in a mystical sense, the altar is Christ, and that, like the priest who celebrates Mass, it should be clothed in precious vestments on account of its dignity… the frontal is one of the most ancient of all the furniture of the altar. 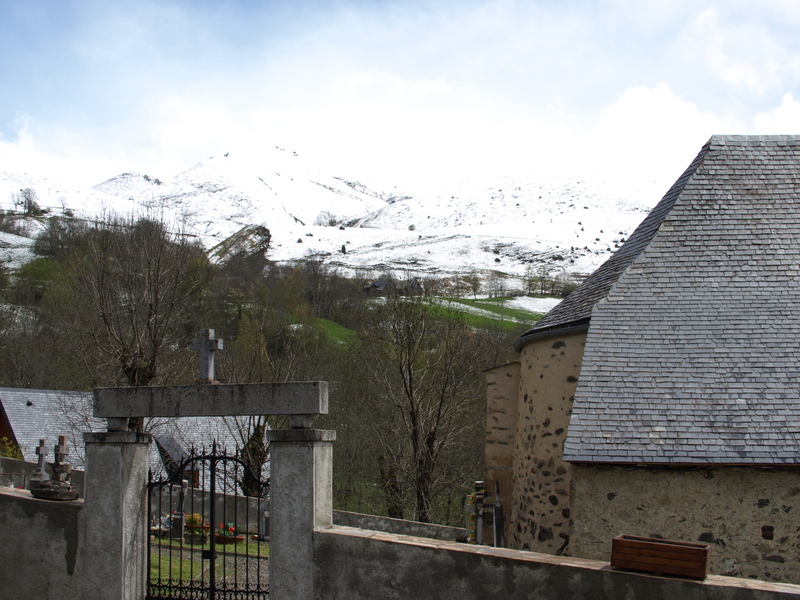 We were involved in some other Antependia, I’ll promise to travel and take some decent pictures.